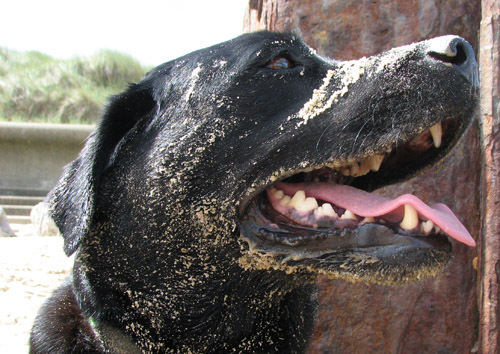 news | what a dog's life! I am very proud of my breed. Yes. Did you know that Labradors are popular not only as guide dogs and gun dogs, but as company for presidents and even THE QUEEN? and here’s Bill Clinton with Buddy. And there you are! Corgis – well, of course, but who’s her favourite? I quite like this time of the year. 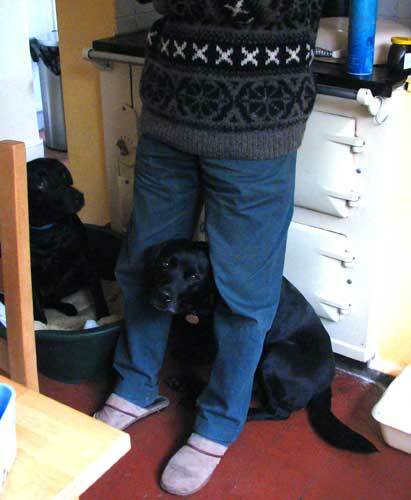 They start heating the house a bit more, and my favourite place is definitely in front of the Aga. Ufortunately, there’s only ONE basket but TWO dogs. Well, I don’t mind just leaning at the boiling hot Aga, as long as they don’t start cooking and opening Aga doors, pushing me away, treading on my tail… you know! See what I mean? – Anyway, I also like being outside, as long as it’s warm and sunny. 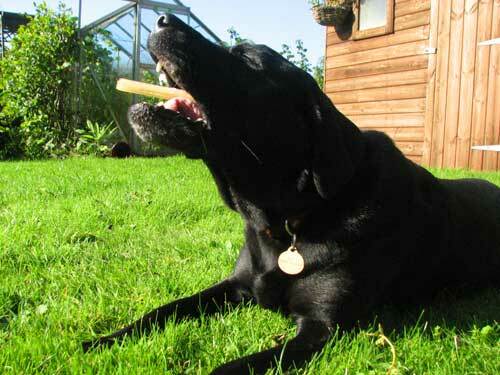 Having a good old chew, rolling on the grass, digging a few holes… that’s life!